IgniteEventPros is an event management company that specializes in providing professional event management services throughout the United States. Whether you are looking for a great location to organize a special training program or conference we would be delighted to be your event partner and can guarantee the best service any company has to offer. IgniteEventPros will manage everything from beginning to end. We provide the total solution. We advise, direct, consult, plan, manage, organize, create and co-ordinate. We make it happen, the way you want it to happen - efficiently, effectively and very successfully! 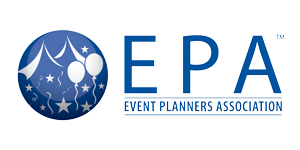 All arrangements for your attending speakers will be professionally managed by IgniteEventPros. From travel and accommodation reservations to on-site technical requirements, you can be sure that your speakers will step onstage relaxed and prepared. Our close relationship with various hotel chains and local accommodation providers allow us to secure the best rates available for your required room block. With a great place to stay at a great rate, you can be sure that your attendees will reserve a room within your block, significantly reducing attrition risks. IgniteEventPros has worked with event production companies for the past twenty years, companies who are at the forefront of cutting-edge technology. Any requirements to help your speakers & sponsors better project their message will be made readily available. IgniteEventPros provide value to your audience by working with a trusted design partner that understands and implements the technology and services needed to enhance the experience of your entire event! IgniteEventPros work closely with catering suppliers to ensure the best quality food and beverages at the best price. This way, we keep your attendees happy and your budget in check. Please click on the contact button, complete the form, and we’ll be in touch with you the same day or next business day.